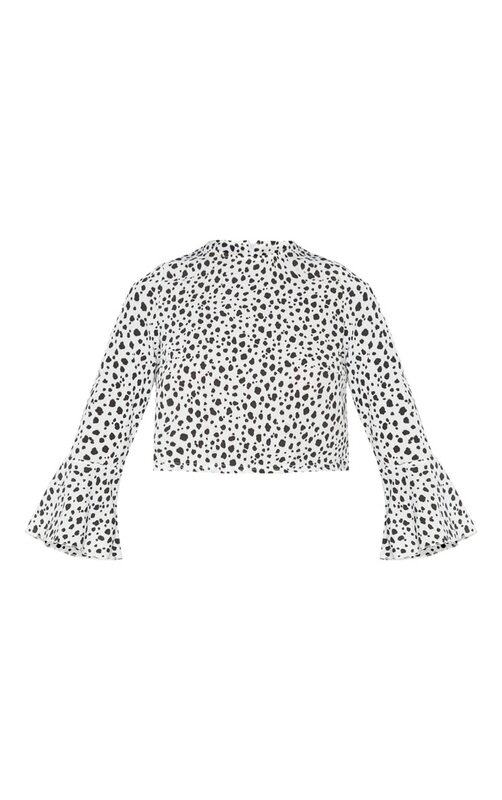 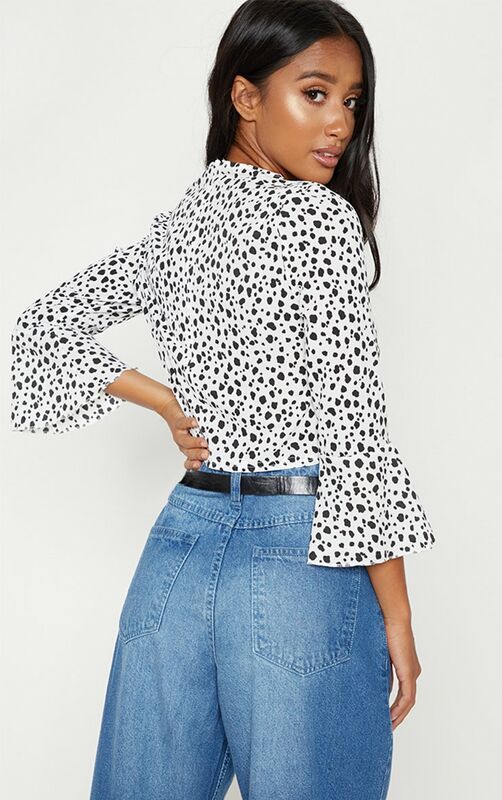 Get ready to turn heads with this cropped blouse. 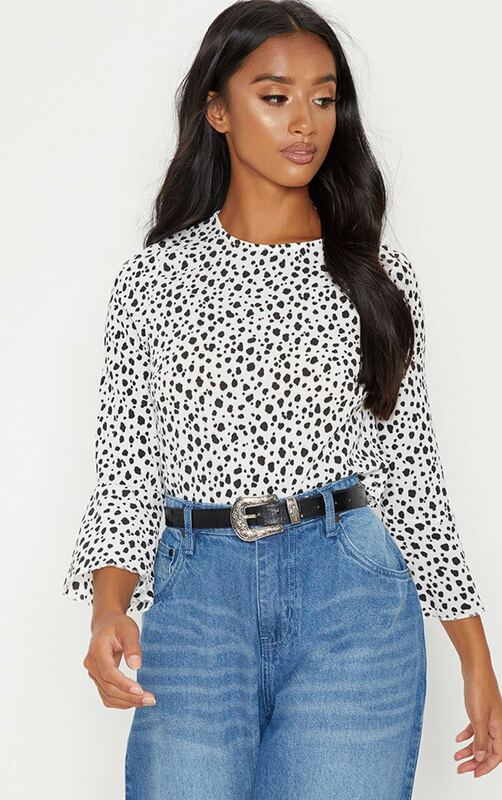 It features a flared sleeved and dalmatian print. 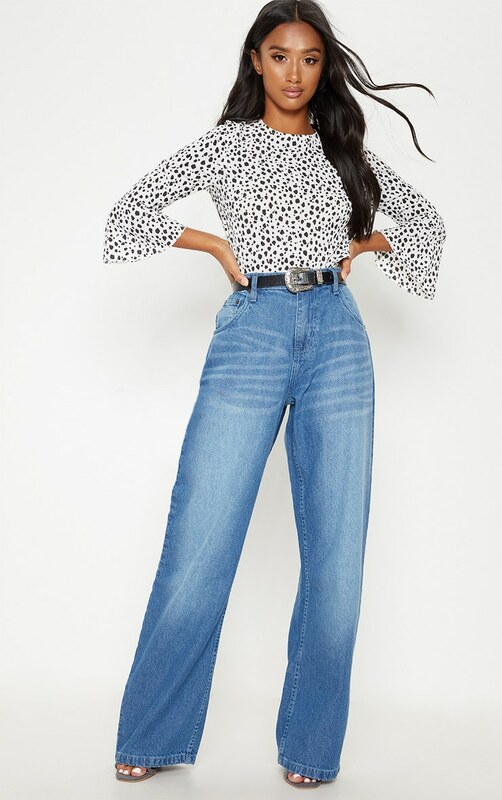 Team with flared jeans and a western belt for a summer-worthy look.